Are you a looking for a position as a Garage Door Technician / Installer? Door Boy is always interested in welcoming dynamic individuals to our team! As we continue to grow we occasionally develop openings so we are always accepting applications. If you are looking for a good paying, professional career with a recognized company, Door Boy may be for you. All we ask is that you are hard working, have a high level of mechanical skills, have a pleasant demeanor with personal communication, and have professional references. Experience is not always required as we have a number of seasoned veteran technicians that will train those interested in learning. 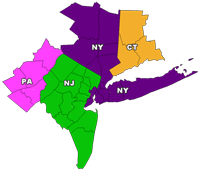 You must however have your own full set of mechanical tools and a valid New Jersey licenses. Everything else will be provided by Door Boy. Are you a looking for a position as a Garage Door Sales Person? Door Boy is always interested in welcoming dynamic individuals to our team! As we continue to grow we occasionally develop openings so we are always accepting applications. If you are looking for a good paying, professional career with a recognized company, Door Boy may be for you. All we ask is that you are hard working, have a high level of mechanical skills, have a pleasant demeanor with personal communication and sales skills, and have professional references. Experience is not always required as we have a number of seasoned veteran sales people. You must however have computer knowledge and a valid New Jersey licenses. Everything else will be provided by Door Boy. Are you a looking for a position in our Office Staff? Door Boy is always interested in welcoming dynamic individuals to our team! As we continue to grow we occasionally develop openings so we are always accepting applications. If you are looking for a good paying, professional career with a recognized company, Door Boy may be for you. All we ask is that you are hard working, have a pleasant phone demeanor with personal communication and sales skills, and have professional references. You must however have computer knowledge. Everything else will be provided by Door Boy.